Kids are usually developmentally ready to try solid foods around the age of four to six months. When it comes to feeding babies, solids are referred to anything that has a thicker consistancy than milk. You do not want to start too soon or wait too long, in view of the fact that both of these times could have a huge impact on your child. There are three main body functions that babies should have before eating solid foods, mature intestines, the ability to swallow food and sitting up without too much assistance. When introducing kids to solid foods it is important that their intestines are mature to be able to digest the food. Your child’s intestines play a key role in keeping out unhealthy substances out of their young, fragile bodies and blood stream, and allowing healthy nutrients in. To protect your child from foods that they could potentially be allergic to intestines emit an antibody called immunoglobulin. These antibodies aid in preventing toxins and viruses. Whenever your child gets to be around a half a year old, their intestines are then able to sift out more unhealthy substances and allergens. If you have a family history of food allergies, it is best to wait before introducing your child to solid foods. Even if you do not have a family history of food allergies, it is still hard to know for certain if your child may be allergic to something or not. Many pediatricians suggest following the 4 Day Wait Rule. This rule simply means that if you want to introduce your child to sweet potatoes first, you will only feed your child sweet potatoes for four days straight to watch and observe for anything unusual. If your child does not have a bad reaction to that food during those four days, introduce a new food, for four more days. Kids who are eating solid foods should be able to move food from the front to the back of the mouth without much trouble. In addition to that, if your kid is not drooling much and has learned to swallow saliva, they should be able to swallow food with ease. Usually prior to four to six months of age, babies are used to sucking rather than chewing, so instead of moving the food from front to back, babies tend to let food move around randomly in their mouths. It may take a bit of practice and a lot of patience on your part to get your baby swallow correctly. For the fact that they are used to sucking and not swallowing, this factor could be a bit difficult. The best way for your baby to learn how to swallow is for you to observe how his or her mouth handles solid foods and for you help him or her. It is very important that the swallowing and tongue mechanisms are able to work together properly before allowing your child to eat solid foods. Before starting solid food, your child should be demonstrating the ability to sit up without too much assistance. Sitting up with the support of a high chair will aid your child greatly in swallowing food and digesting it. The skill of sitting up with very little assistance is usually develop between five and seven months of age. 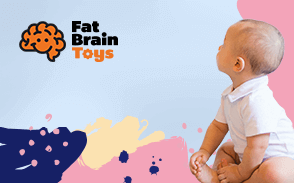 Your baby should also be able to control their head movement when propped to sit. If your baby cannot sit up with very little assistance, it is best to wait until they are able to before you introduce them to solid foods. When you child begins to demonstrate signs of readiness, their pediatrician may suggest starting them on solid food around four to six months. Do not worry if your baby may not be ready to eat solid foods as soon as other babies may be eating. Until your child shows true signs that they ready to begin solid foods, formula and breastmilk will provide him or her with all of the nutrients and calories they need. Developmentally, babies do not have the proper oral skills it takes to swallow safely before the age of around four months. Moreover, their digestive tracts are immature as they are still in development. Giving your child solid foods before they are ready could result in potential harm to the body. 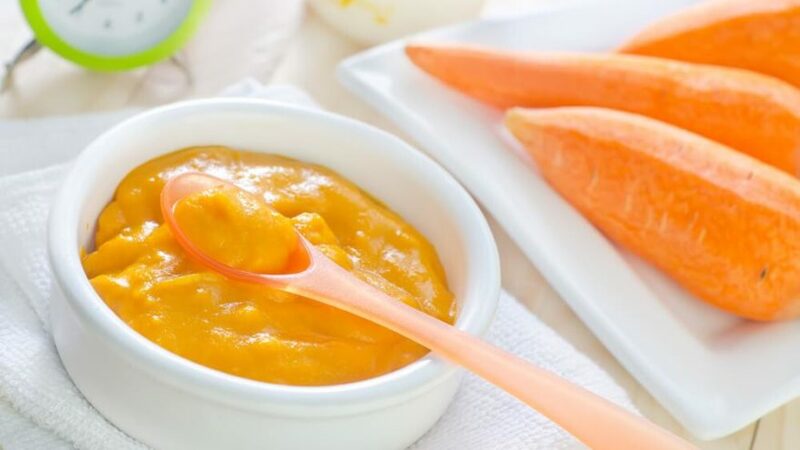 Even if your little one does not have teeth and is showing signs of being able to digest solid food, that will be no problem at all, as all beginning baby foods should be puréed to a very fine consistency.